How to let buyers choose the price for my product? 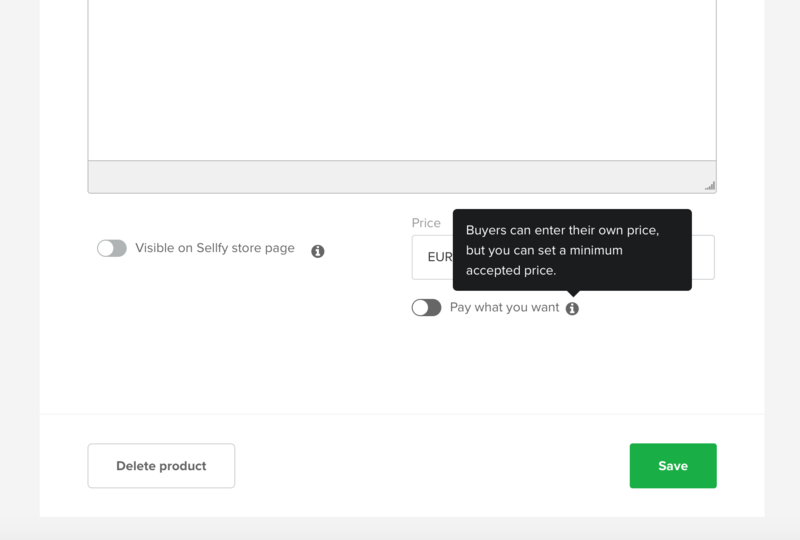 If you want to charge something for your product, but are comfortable with letting your buyers decide, you can use the "Pay what you want" feature. This is also an awesome way to collect donations for special causes. Read Christian Guzman's incredible story to get inspired to use the "Pay what you want" feature! Note: The minimum price you can set for a product is $0.90. This is done to cover the fees associated with the transaction. However, you can also offer a product for free with this feature. Just set the price to $0, and the Pay What You Want feature will be switched on automatically.